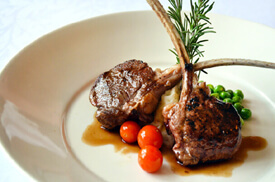 Learn how to cut and sear a lamb chop from the rack of lamb. We’ll top it off with sautéed oyster mushrooms and a compliment of creamy polenta. This class also includes instruction forFrench Onion Soup!